The VHB-54 (sister ship of VHB-53), they were both steel hopper barges. It was scuttled in the ships graveyard off Torquay on 17 Dec 1970. She sits upright in 42M of water with the bow and stern in reasonable condition. 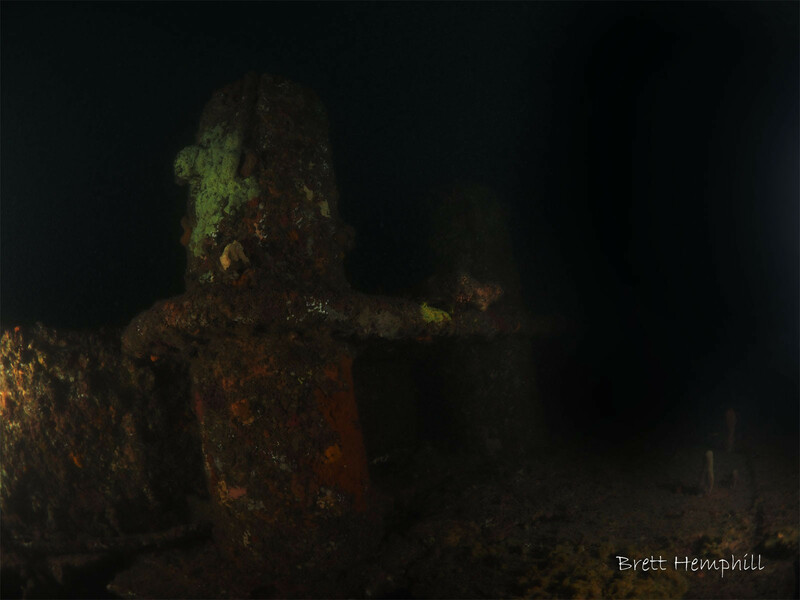 There is a large cogged wheel in the midships area which was used to open the doors for the dredged material to be dumped. 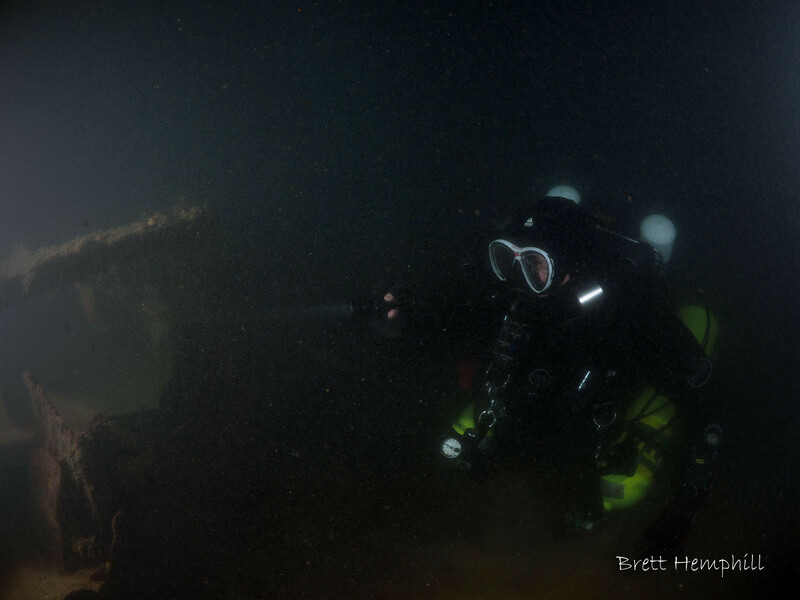 You can can enter some sections of the wreck and visibility can be quite low it was on the day our photos were taken.